When it comes to making sure that your child stays on track with reading during the summer months, there are other aspects of your child’s learning and education that may over the summer months. A study was conducted by the National Education Commission that reported a growing concern about the nation’s school calendar issues, (with summer being too long), and how it affects students, especially those at risk for academic failure. 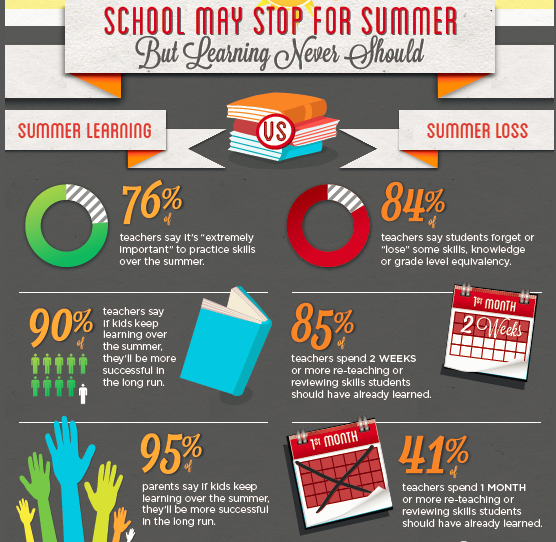 The study showed that aside from other academic skills, math and spelling skills were the most pronounced when it came to summer loss results. This result was deduced due to its nature, seeing as math and spelling skills are acquired via factual and procedural knowledge, whereas reading and other similar subjects are more conceptually based. There are plenty of things that parents can do to help make sure that their child’s academic skill levels are not in jeopardy over the summer, and it helps to keep all aspects of your child’s education in mind. You can certainly make an effort to ensure that family trips are educational and that reading is incorporated into your summer routines, but you can help kids with math skills and spelling, too. With the wealth of technology available, there are many math and spelling based apps on mobile devices, you can even ask your kids simple questions in your day-to-day lives to help keep their skills sharp. Ask your children to count how many calories from fat are in their snacks, or have them conduct other calculations, and simply reading nutritional labels can be educational in terms of expanding concepts relating to health and reading. Encourage your kids to start a journal to document their summer, that way they are practicing spelling and reading skills at once. Many schools, places of worship, community centers, libraries and parks even offer educational day camps and other summer activities, so make sure to look out for programs your child may be eligible for. What the National Education Commission study also indicated was that summer loss differed from child to child, not only in regards to their summer activities but to their inherent IQ, school performance and overall character. As a parent, it helps to keep these characteristics in mind in order to make sure that your child’s specific needs are met no matter what. For instance, some kids may not necessarily need to read more often during the summer in order to retain their reading level, but children with dyslexia and other learning disabilities absolutely will. The same goes for other subject areas such as math, science, spelling and more. Know what your child’s strengths and weaknesses are and play to those factors. Make sure that your child gets the help that they need. 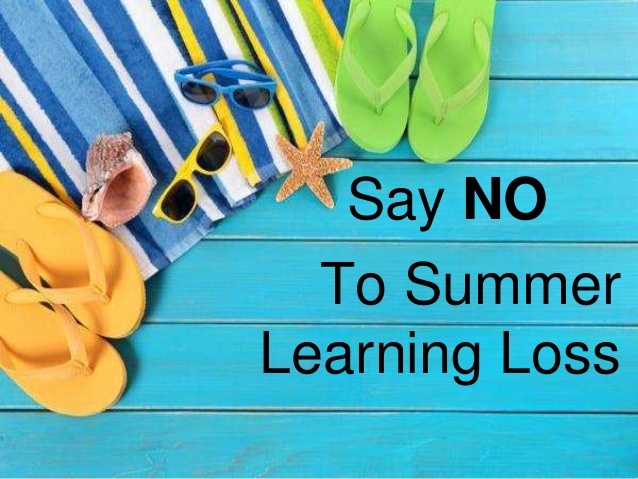 Even if your child is not expressly sent to summer school for remedial math does not mean that helping reinforce mathematical skills and concepts over the summer won’t help them fight summer loss.